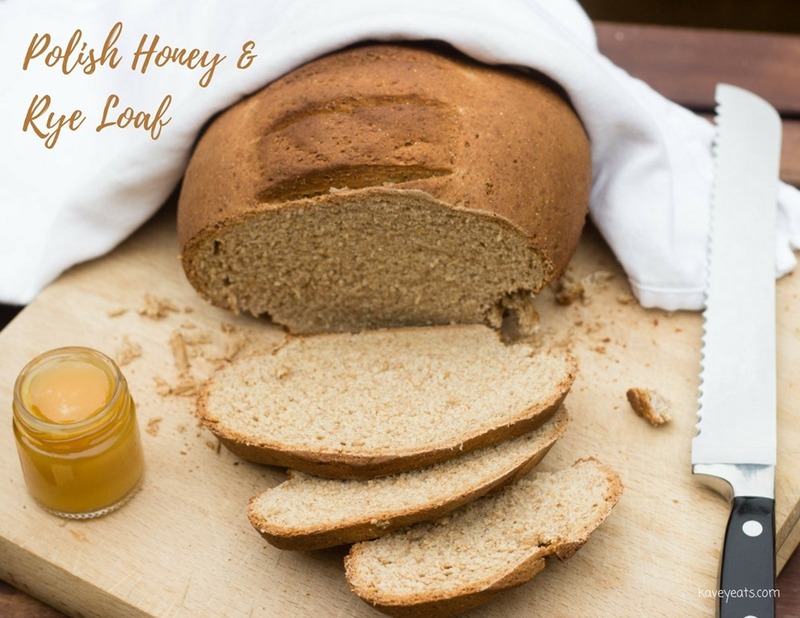 This delicious recipe is from Wild Honey and Rye by Ren Behan, and it gives its name to the book itself. Read my review of Wild Honey and Rye here, and enter my giveaway to win your own copy. Find out about how Ren came to write the book, and the creative process involved, here. Mix the water and milk together, add the honey and stir until dissolved. Tip in the yeast, whisk and leave to stand in a warm place for 10 minutes. Put the flours and salt, and caraway seeds if using, into a large bowl. Make a well in the centre and stir in the liquid yeast mixture until the dough comes together. Dust a work surface with rye flour. Tip the dough onto the surface and knead it for 10 minutes. Shape the dough into a ball. Grease a clean bowl with oil and put the dough into the bowl. Cover with clingfilm (plastic wrap) and leave in a warm place until the dough has roughly doubled in size. This may take up to 2 hours. Tip the dough out onto the work surface, knead it briefly, then shape into an oval loaf and place on a large oiled baking sheet. Slash the top with a sharp knife and bake for 45 minutes or until it is golden brown all over. Leave the loaf on a wire rack to cool before slicing. Kavey Eats received a review copy of Wild Honey and Rye by Ren Behan (RRP £20) from publisher Pavilion Books. Recipe extracted with permission from Pavilion Books. 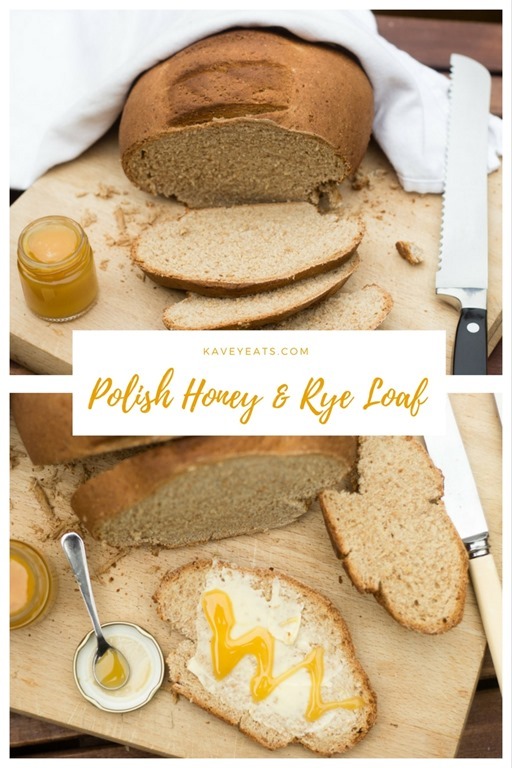 37 Comments to "Ren’s Polish Honey & Rye Loaf"
This looks like such a lovely loaf! Really good, lovely flavour, dense but not too dense, nice flavour from the rye but not too strong as it’s only half rye flour. Very well balanced! This recipe caught my eye too. What can be better than bread with delicious toppings! I’ll have to have a go at this soon, great baking skills kavey! Yes, I didn’t think it would be evident in the taste, but it is, a lovely subtle hint. 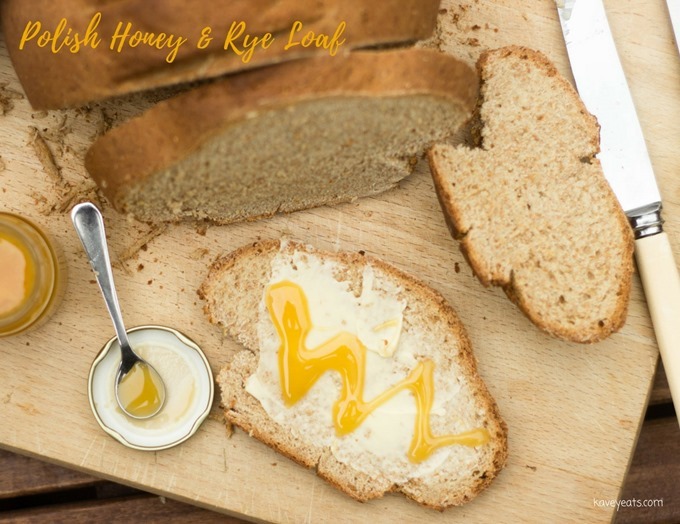 We love sourdough too, so it’s been a while since we made regular yeasted bread but the rye and honey give it a really great additional flavour which I’m sure, as a sourdough lover, you would enjoy. This is the first recipe I am going to try from the book. I love rye bread, but I have never made it myself. It’s a really good one to make, straightforward to follow and lovely dense rye texture. It’s been a while since I last baked a bread. Need to try this one. I’m a big fan of sourdough too. And I too would love to bake more bread at home. I just told my husband I needed to since now our baby wants bread in the mornings too so we are going through it like mad. So – bookmarking! This one isn’t sourdough, it’s a regular yeasted bread, but it’s very delicious and well worth making. Ooooh, this sounds perfect to have with my Dill Pickle soup!! I bet that would be a great pairing! 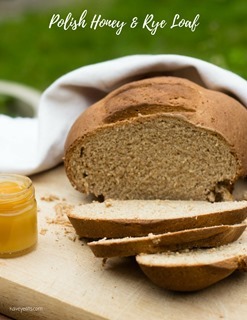 A hearty, wholesome rustic bread! Perfect with a bowl of warm soup! Oooo a new kinda bread for me to try my hands on… Rye seems just perfect! 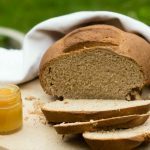 It gives a lovely flavour, and makes a dense, almost chewy bread, which is wonderful. I love it! 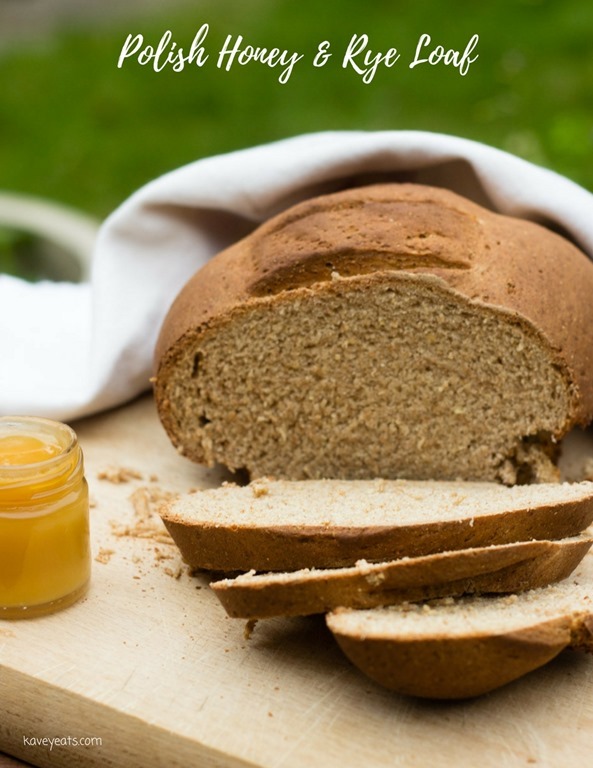 I used to love rye bread before going gluten-free…your recipe looks so good!! Yes, Ren’s recipe is a winner! 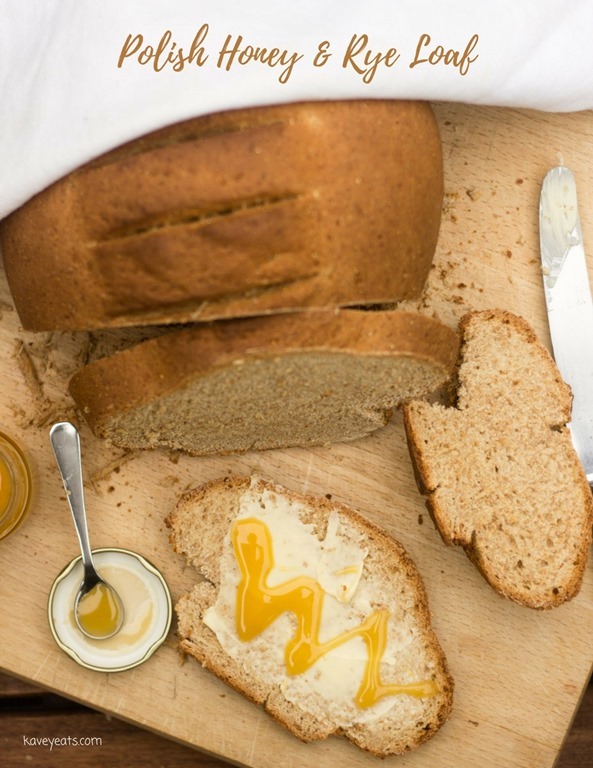 I love Rye bread – it’s my european roots talking. Yet, I’ve never actually baked with rye flour. Your loaf looks amazing! Definitely give it a try, I’m sure you’d enjoy it! Dear Kavey and Pete, goodness, how beautiful! I’m so happy that you made this recipe. It is the first recipe in my book and yes, echoes the name of the book. A simple loaf that even I, as a non bread-baker, can bake. I hope that many others have success with this recipe too. Good bread can provide such comfort. I often eat it with mine buttered, with a big bowl of dill pickle soup, as Sue, one of your readers mentions above. But with butter and honey, its also a real treat. Thank you. We really like it! And it’s a really accurate and straightforward recipe to follow! My husband’s family is Finnish, and we love our rye bread. I think I need to try this recipe, I love the honey in there! Do give it a go, it is so delicious! I’m not much of a baker to be honest, so I absolutely love how easy this bread loaf is to make. I never tried bread with cream cheese and honey, really intrigued by the combo! What an interesting shape the bread has. I imagine cream cheese with this honey bread will go down very well! Well the shape us down to Pete’s slashing and the vessel he used to rise and cook it in, but yes it’d work wonderfully with cream cheese and honey! How delicious! I love Polish rye bread… but I have never make it myself. I think it is time to try… using Ren’s recipe of course. Looks such a lovely book. Always great to see a fellow blogger in print. I lived in Poland for a couple of years and this look so similar to some of the bread I used to eat there! It’s really brought back memories. Lovely bread. It’s really delicious, hope you make and enjoy! That bread looks gorgeous. We used to buy bread from our supermarket but they stopped selling it so maybe it’s time to make my own. Love Ren’s book too. Fabulous!